Mt. Morris from Town Hill. 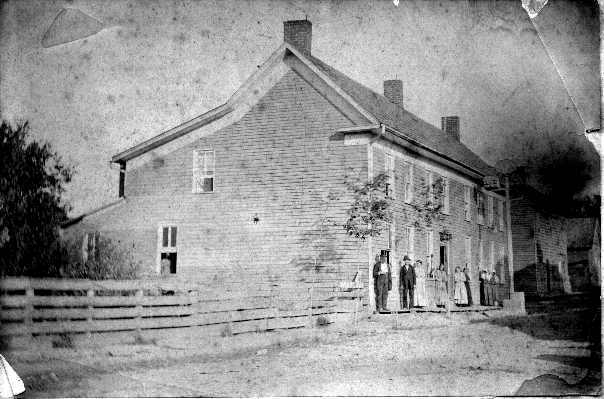 Picture probably from around 1900 (click here to see a more detailed photo). 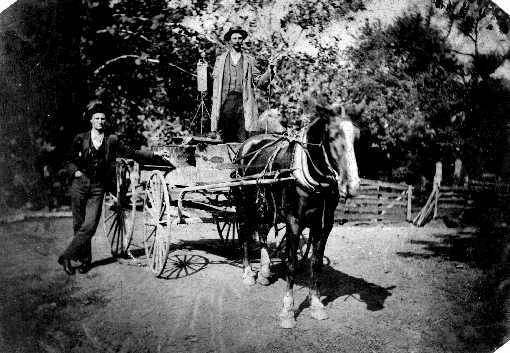 Charles Bussey (leaning on wagon) and his meat wagon. He sold meat in Mt. Morris in late 1800 early 1900. 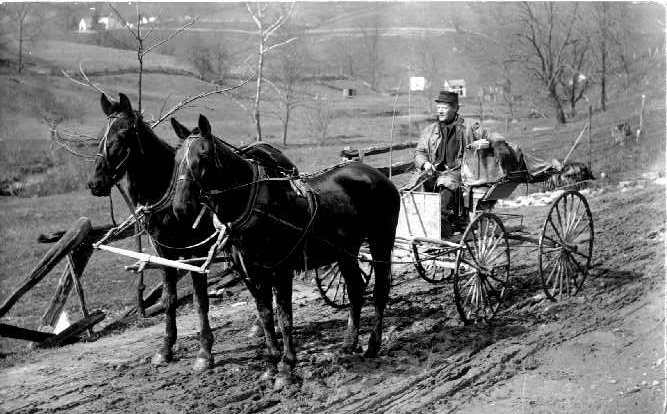 John Spencer Kennedy in wagon holding scales. Tintype picture around 1888-1893. 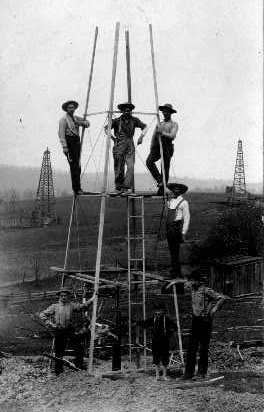 Water well construction about 1895. Looking east from top of hill behind Maxon’s body shop. Clockwise from upper left: Elsorth Donley, Ross Johns, Bill Fox, John Kennedy, Henry Sutton, Warren Hickman, Fred Cannon. Parade with band. Mt. 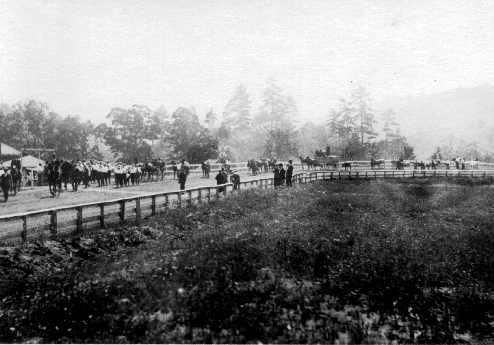 Morris fair, 1904. Cattle Judging, Mt. Morris Fair, 1904. 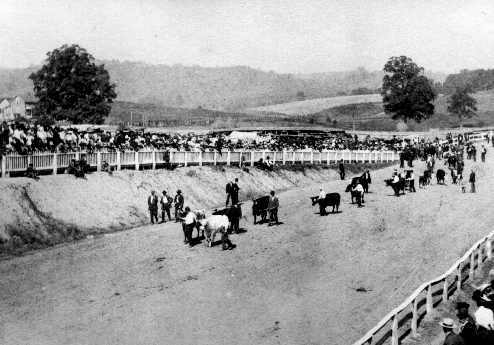 Harness horse racing, Mt. 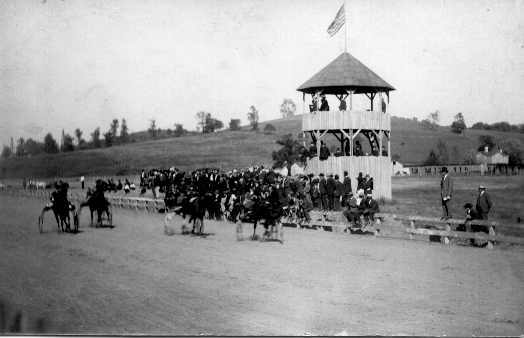 Morris fair, 1904. Freesoil Elementary School and Mt. 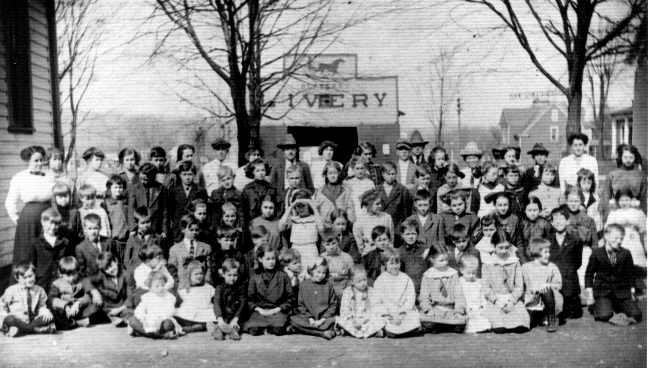 Morris High School class (spring 1913). Freesoil elementary was across the street from the current BFS Foods store. 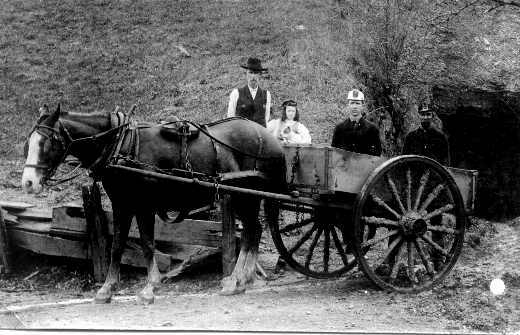 Clark Wade, daughter Jesse, Tom Rogers, and unknown man at Clark Wade’s Coal Mine (really a coal bank). Martin Hotel in Mt. Morris, PA. Now the Farace home attached to the Mt. Morris Supermarket. Later purchased by John Spencer Kennedy and renamed Fitzgerald Hotel. Picture around 1890. 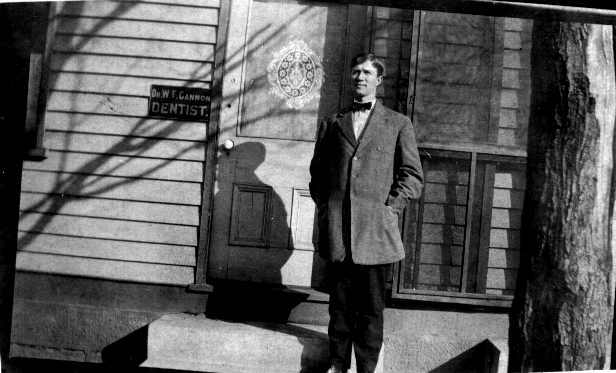 William Gannon, Town dentist. Both my aunt (b. 1907) and father (b. 1911) were his patients as kids so picture could be taken anywhere from 1900-1925?? Henry B. Fox, Mt. Morris Mailman. Retired in 1920 and replaced by Bob Russell.